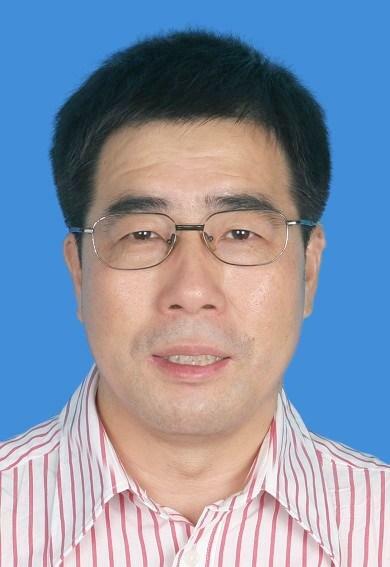 Professor Ruiwang Huang received a PhD in Physics from the University of Nottingham in UK in 2001. During 2001-2009, he performed MRI sequence development in the Institute of Neuroscience and Medicine (IV), Research Center Juelich in Germany. In 2009, he joined the State Key Laboratory of Neuroscience and Learning, took a job of a MRI physicist and vice director of Imaging Center for Brain Research in Beijing Normal University. Since 2010, he moved to Guangzhou. Now, he is a professor in School of Psychology and the director of the Brain Imaging Center, South China Normal University. His research interest includes the new technique/sequence for acquiring fMRI/DTI signals, QC control, and data postprocessing. Currently, Professor Huang’s research focus is the influence of learning on the brain structure and function, the neural mechanism of different conscious states, and the brain function-structure relationship. His team is collaborating with several MRI centers (located in different hospitals) in Guangzhou. Zhang S1, Wang Y1*, Deng F, Zhong S, Chen L, Luo X, Qiu S, Chen P, Chen G, Hu H, Lai S, Huang H, Jia Y, Huang L, Huang R*, Disruption of superficial white matter in the emotion regulation network in bipolar disorder, Neuroimage Clin. 2018 Sep 26;20:875-882. doi: 10.1016/j.nicl.2018.09.024. He Y1, Wang Y1, Chang TT, Jia Y, Wang J, Zhong S, Huang H, Sun Y, Deng F, Wu X, Niu C, Huang L*, Ma G*, Huang R*. Abnormal intrinsic cerebro-cerebellar functional connectivity in un-medicated patients with bipolar disorder and major depressive disorder. Psychopharmacology (Berl). 2018 Sep 11. doi: 10.1007/s00213-018-5021-6. Zheng S, Feng J, Lin R*, Yan Y, Zhang R, Huang H, Wang J, Huang R*., The impact of negative mood state on sleep-related attentional bias in insomnia. J Sleep Res. 2018 Aug 23:e12748. doi: 10.1111/jsr.12748. Zhong M1, Yang W1, Huang B*, Jiang W, Zhang X, Liu X, Wang L, Wang J, Zhao L, Zhang Y, Liu Y, Lin J, Huang R*. Effects of levodopa therapy on voxel-based degree centrality in Parkinson's disease. Brain Imaging Behav. 2018 Aug 8. doi: 10.1007/s11682-018-9936-7. Deng F, Zhao L, Liu C, Lu M, Zhang S, Huang H, Chen L, Wu X, Niu C, He Y, Wang J, Huang R*. Plasticity in deep and superficial white matter: a DTI study in world class gymnasts. Brain Struct Funct. 2017 . doi: 10.1007/s00429-017-1594-9. Deng F 1, Wang Y 1, Huang H, Niu M, Zhong S, Zhao L, Qi Z, Wu X, Sun Y, Niu C, He Y, Huang L*, Huang R*.,Abnormal segments of right uncinate fasciculus and left anterior thalamic radiation in major and bipolar depression. Prog Neuropsychopharmacol Biol Psychiatry. 2018 Feb 2;81:340-349. Wen X, Cant JS, Xiang Y, Huang R, Mo L. The Neural Correlates of Intelligence Comparison. Cereb Cortex. 2017 Nov 28:1-12. doi: 10.1093/cercor/bhx329. Xu R, Yang J, Feng C, Wu H, Huang R, Yang Q, Li Z, Xu P, Gu R, Luo YJ. Time is nothing: emotional consistency of autobiographical memory and its neural basis. Brain Imaging Behav. 2017 Oct 4. doi: 10.1007/s11682-017-9778-8. Jiao B 1, Zhang D 1, Liang A, Liang B, Wang Z, Li J, Cai Y, Gao M, Gao Z, Chang S, Huang R*, Liu M*. Association between resting-state brain network topological organization and creative ability: Evidence from a multiple linear regression model. Biol Psychol. 2017 Oct;129:165-177. doi: 10.1016/j.biopsycho.2017.09.003. Epub 2017 Sep 7. Xie Q, Ni X, Yu R, Li Y, Huang R. Chronic disorders of consciousness. Exp Ther Med. 2017 Aug;14(2):1277-1283. Liang, Bishan1; Zhang, Delong1; Wen, Xue; Xu, Pengfei; Peng, Xiaoling; Huang, Xishan; Liu, Ming*; R. Huang*, 2014, Brain spontaneous fluctuations in sensorimotor regions were directly related to eyes open and eyes closed: evidences from a machine learning approach, Frontiers in Human Neuroscience, 8. Wu, Haiyan; Chen, Chunping; Cheng, Dazhi; Yang, Suyong; R. Huang; Cacioppo, Stephanie; Luo, Yue-Jia*, 2014, The mediation effect of menstrual phase on negative emotion processing: Evidence from N2, Social Neuroscience, 9(3), pp 278-288. Nickl-Jockschat, T.*, T. Stoecker, A. Krug, V. Markov, R. Huang, F. Schneider, U. Habel, S. B. Eickhoff, K. Zerres, M. M. Noethen, J. Treutlein, M. Rietschel, N. J. Shah and T. Kircher (2014). "A Neuregulin-1 schizophrenia susceptibility variant causes perihippocampal fiber tract anomalies in healthy young subjects." Brain and Behavior 4(2): 215-226. Li, S., Wang, B., Xu, P., Lin, Q., Gong, G., Peng, X., Fan, Y., He, Y., Huang, R*., 2013. Increased Global and Local Efficiency of Human Brain Anatomical Networks Detected with FLAIR-DTI Compared to Non-FLAIR-DTI. Plos One 8, e71229. Zhang, D., Liu, B. *, Chen, J., Peng, X., Liu, X., Fan, Y., Liu, M.*, Huang, R.* (2013). Determination of Vascular Dementia Brain in Distinct Frequency Bands with Whole Brain Functional Connectivity Patterns. Plos One. 8, e54512. Zude Zhu 1, Yuanyuan Fan 1, Gangyi Feng, Ruiwang Huang*, Suiping Wang*, Large scale brain functional networks support sentence comprehension: Evidence from both explicit and implicit language tasks, Plos One, 8(11): e80214. Guihua Jiang 1, Xue Wen 1, Yingwei Qiu, Ruibin Zhang, Junjing Wang, Meng Li, Xiaofen Ma, Junzhang Tian *, Ruiwang Huang*, Disrupted topological organization in whole-brain functional networks of heroin-dependent individuals: a resting-state fMRI study. PLoS ONE 8(12): e82715. Huang, R.*, Kupriyanova Y, Mirzazade S, Posnansky O, Shah NJ. (2009). Investigating the Influence of b-value on the Spatial Distribution of Diffusion weighted Functional Magnetic Resonance Imaging (dFMRI) during Visual Stimulation.NeuroImage.47(Supplement): S185. Posnansky, O., R. Huang, and N. Jon Shah, The truncated Levy-flight process: Application to the random spin phase change in non-linear magnetic fields. Physica A: Statistical Mechanics and its Applications, 2006. 370(2): p. 553-564. Huang, R. and B. Zhang (2010). "Exploring the reproducibility and consistency of diffusion-weighted functional magnetic resonance imaging during visual stimulation using population-based activation map (Oral presentation)." ISMRM-ESMRMB Joint Annual Meeting: 2902. Huang, R. (2008). "Determining uncertainty in estimates of relaxation time (T2) and proton density (S0) derived from T2-weighted MRI using bootstrap method." Annual Meeting of Internaltional Society for Magn Reson Med (ISMRM): 1525. Huang, R., T. Stocker, O. Poznansky and N. J. Shah (2005). "On the problem of an additional phase term in diffusion MRI in anisotropic media." Annual Meeting of Internaltional Society for Magn Reson Med (ISMRM): 1327. Huang, R., O. Posonsky, K. Zills and J. N. Shah (2004). "Application of Laplace transformation method to detect subvoxel fiber structures by using MR diffusion imaging, ." Annual Meeting of Internaltional Society for Magn Reson Med (ISMRM): 1224. 1) Ling Zhao（赵岭）, Xiangliang Tan, Xiaojin Liu, Kai Han, Meiqi Niu, Jun Xu, Miao Zhong, Xixi Zhao, Qin Huang, Yikai Xu*, Ruiwang Huang*. Abnormal white matternetworksin patients with non-neuropsychiatric systemic lupus erythematosus. Annual meeting of Human Brain Mapping, 2016, Submission number 1662. 2)Xiaojin Liu（刘晓瑾）, Liu Tu, Miao Zhong, Bo Jiang, Ximin Pan, Meng Li, Yanyan Li, Chang Liu, Zhenzhen Zhu, Zhi Lu, Ruiwang Huang, The effect of AoA-L2 influence topological properties of language network. Annual meeting of Human Brain Mapping, 2016, Submission number 1673. 3)Xiaojin Liu（刘晓瑾）, Xiangliang Tan, Miao Zhong, Meiqi Niu, Junjing Wang, Ling Zhao, Kai Han, Jun Xu, Yikai Xu, Ruiwang Huang, Altered topological organization of brain functional networks in non-NPSLE patients. Annual meeting of Human Brain Mapping, 2016, Submission number 1675. 4)Meiqi Niu（牛美琪）, Ying Wang, JunJing Wang, Shuming Zhong, Xiaojin Liu, Chen Niu, Yanbin Jia, Ling Zhao, Li Huang, Ruiwang Huang, Abnormal cortical thickness in medication-naive patients with unipolar disorder and bipolar disorder. Annual meeting of Human Brain Mapping, 2016, Submission number 1541. 5)Miao Zhong（钟苗）, Biao Huang, Junjing Wang, Xiaojin Xiaojin Liu, Ling Zhao, Meiqi Niu, Wenjie Jiang, Xiaoling Zhong, Effects of Levodopa on the brain degree centrality in Parkinson’s disease. Annual meeting of Human Brain Mapping, 2016, Submission number 1958. 6)Feng Deng（邓凤）, Ying Wang, Junchao Li, Shuming Zhong, Xiaoyan Wu, Yanbin Jia, Chen Niu,Yuan He, Li Huang, Ruiwang Huang, Abnormal brain white matter tracts in bipolar disorder and major depression disorder. Annual meeting of Human Brain Mapping, 2016, Submission number 1628. 7)Feng Deng（邓凤）, Ying Wang, Ling Zhao, Shuming Zhong, Junjing Wang, Yanbin Jia, Ling Weng, Meiqi Niu, Li Huang, Ruiwang Huang, Similarities and dissimilarities in topologically structural network in affective disorders. Annual meeting of Human Brain Mapping, 2016, Submission number 1641. 8)Yuan He（贺媛）, Ying Wang, Wenjie Jiang, Shuming Zhong, Feng Deng, Yanbin Jia, Xiaoyan Wu, Chen Niu, Li Huang, Ruiwang Huang, Cerebrocerebellar functional connectivity in bipolar and major depression. Annual meeting of Human Brain Mapping, 2016, Submission number 2095. 9)Yuan He（贺媛）, Ying Wang, Junjing Wang, Shuming Zhong, Miao Zhong, Yanbin Jia, Feng Deng, Chen Niu, Li Huang, Ruiwang Huang, Abnormal limbiccerebellar circuits in bipolar and major depression. Annual meeting of Human Brain Mapping, 2016, Submission number 1894. 10)Chen Niu（牛琛）, Xiangliang Tan, Meiqi Niu, Kai Han, Jiabao Lin, Jun Xu, Ling Zhao, Feng Deng, Yikai Xu, Ruiwang Huang, Cortical thickness reductions in non-neuropsychiatric systemic lupus erythematosus. Annual meeting of Human Brain Mapping, 2016, Submission number 1619. 11)Chen Niu（牛琛）, Xiangliang Tan, Xiaojin Liu, Wenjie Jiang, Xiaoyan Wu, Yuan He, Kai Han, Jun Xu, Yikai Xu, Ruiwang Huang, Decreased gray matter volume and disrupted resting state functional connectivity in non-neuropsychia. Annual meeting of Human Brain Mapping, 2016, Submission number 1647. 12)Xiaoyan Wu（吴小燕）, Qiuyou Xie, Miao Zhong, Qing Ma, Xiaojin Liu, Ronghao Yu, Huan Wang, Yuan He, Yanbin He, Ruiwang Huang, Local and distant functional connectivity density in patients with disorder of consciousness. Annual meeting of Human Brain Mapping, 2016, Submission number 1887. 13)Xiaoyan Wu（吴小燕）, Qiuyou Xie, Junchao Li, Qing Ma, Ling Weng, Ronghao Yu, Feng Deng, Yuan He, Yan Che2, Ruiwang Huang, Detecting time-varying functional connectivity states in patients with disorders of consciousness. Annual meeting of Human Brain Mapping, 2016, Submission number 1917. 14)Junchao Li（李俊朝）, Xiaojin Liu, Junjing Wang, Delong Zhang, Bishan Liang, Ming Liu, Ruiwang Huang, Functional segment of entorhinal cortex. Annual meeting of Human Brain Mapping, 2016, Submission number 2335. 15)Yuxuan Cai（蔡玉璇）, Delong Zhang, Bishan Liang, Zengjian Wang, Junchao Li, Zhenni Gao, Mengxia Gao, Ruiwang Huang, Ming Liu, Visual creativity imagery modulates local spontaneous activity amplitude of resting-stating brain. Annual meeting of Human Brain Mapping, 2016, Submission number 1645. 16)Zhenni Gao（高祯妮）, Delong Zhang, Xiaojin Liu, Junchao Li, Cai Yuxuan,Mengxia Gao, Zengjian Wang, Bishan Liang, Ruiwang Huang, Ming Liu, Interaction of resting-tate functional networks and creative behavior creativity in human brain. Annual meeting of Human Brain Mapping, 2016, Submission number 1568. 17)Mengxia Gao（高梦霞）, Delong Zhang, Junchao Li, Zhenni Gao, Yuxuan Cai, Ruiwang Huang, Ming Liu, Mental rotation task modulates degree centrality of rest brain network using MLDA method. Annual meeting of Human Brain Mapping, 2016, Submission number 1986. 18)Yuting Lin（林钰婷）, Delong Zhang, Mengxia Gao, Junchao Li, Bingqing Jiao, Yuxuan Cai, Zheng Zhang, Siying Xie, Ruiwang Huang, Ming Liu, Association between functional network efficiency and vividness of visual mental imagery. Annual meeting of Human Brain Mapping, 2016, Submission number 1889. 19)Siying Xie（谢思颖）, Delong Zhang, Junchao Li, Zheng Zhang, Yuting Lin, Yuxuan Cai, Song Chang, Jinghua Pan, Ruiwang Huang, Ming Liu, Functional interaction between brain networks associated with demands of tasks. Annual meeting of Human Brain Mapping, 2016, Submission number 1862. 20)Zheng Zhang（张政）, Delong Zhang, Junchao Li, Yuxuan Cai, Zhenni Gao, Yuting Lin, Siying Xie, Ruiwang Huang, Ming Liu, Spontaneous activity related to primary visual cortex during eyes-closed and eyes-open states. Annual meeting of Human Brain Mapping, 2016, Submission number 1847. 21)An Yan, Linlin Gong（宫林林）, Huiqing Hu, Wenjie Wu, Yanshan Hong, Kun Wu, Hongke You, Shuyu Han, Yidan Qiu, Ruiwang Huang, Dynamic or static stimuli affect the neural of gazing: A meta-analysis of direct and averted gaze. Annual meeting of Human Brain Mapping, 2016, Submission number 2339. 22)Shuyu Han, Kun Wu（吴坤）, Hongke You, Junjing Wang, Ying Wang, Huiqing Hu, LinlinGong, Meiqi Niu, Ningxuan Zhang, Xiaoqing Xu, An Yan, Ruiwang Huang, Distinct emotional processing patterns in two depressive disorders: evidence from a meta-analysis. Annual meeting of Human Brain Mapping, 2016, Submission number 2650.